SPLA Day is a public holiday in South Sudan celebrated annually on May 16. It commemorates the formation of the Sudan People's Liberation Army (SPLA). SPLA was formed during the Second Sudanese Civil War as a guerrilla movement. On May 16, 1983, a group of mutineers from the Sudanese army opened fire in the barracks near the city of Bor. These mutineers would form the core of SPLA. Colonel John Garang de Mabior was sent to quell the rebellion, but instead he led the newly formed SPLA and began to recruit new soldiers. SPLA mutinied against the sharia law imposed by the government of Sudan and military rule. Its armed struggle against the Islamic dominance lasted for more than two decades. Throughout the civil war, SPLA was led by John Garang. Garang died in 2005 in a helicopter crash, and Salva Kiir Mayardit became the new Commander-in-Chief. By that time, a peace agreement had already been signed. 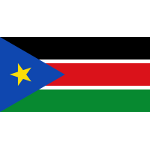 When the Republic of South Sudan proclaimed its independence in 2011, SPLA became the country's regular army. Therefore SPLA Day can also be considered the professional holiday of the South Sudanese military. As of 2013, SPLA was estimated to have about 210,000 active personnel, not counting the South Sudan Air Force.